Game-changing companies don’t come along very often. But when they do, shareholders usually see big gains. This pattern continues to repeat itself in the stock market. Netflix (NFLX) is a recent example. Back in 2007, Netflix introduced a game changer in the home entertainment industry, releasing a new service that enabled customers to stream movies from the internet into their homes. That innovation led to ridiculous gains for Netflix shareholders that completely crushed the broader stock market. In just the last six years, Netflix has surged from $7.50 per share to a recent high above $400. 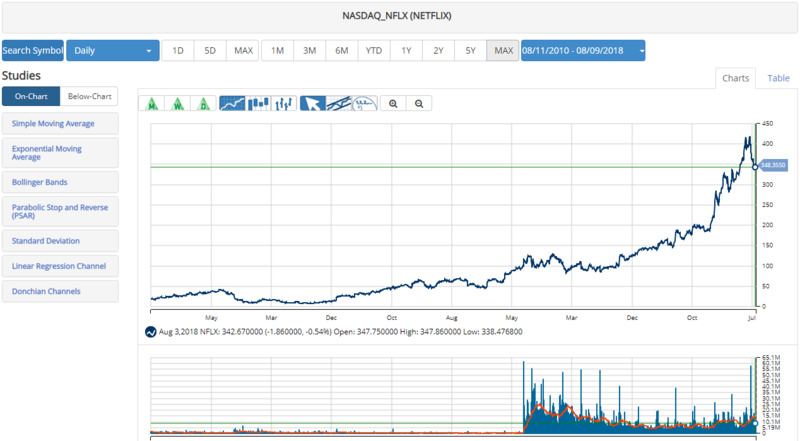 That 5,000% return means that a $10,000 investment in Netflix in 2012 would be worth about $500,000 today. These game changers are rare and hard to find. True game-changing technology doesn’t come around very often. Winning a license to sell cannabis in Canada is a lot like winning the lottery. It’s an immediate pathway into an untapped $5 billion market. However, just like the lottery – it’s not easy to get one of these permits. Four years after Canada updated its domestic cannabis laws – only 97 companies have been licensed. Around 30 of those companies are publicly traded and control around 45 permits. If you think robots are about to take over the world, I've got a great cannabis stock for you. This early industry leader is leveraging the power of robotics and automation to develop some of the most innovative cannabis manufacturing equipment I have ever seen. The company's flagship product is a highly engineered machine that helps cannabis producers quickly and cost-effectively extract oil from the cannabis plant. If it catches on, this young cannabis company could grow into an industry pioneer and global leader. Quadron Cannatech (QCC) is a young Canadian cannabis company headquartered in Vancouver. Shares began trading on the Canadian Stock Exchange in February of 2017 under the ticker symbol QCC. I see average daily trading volume of 784,000 so this ticker is plenty liquid for 99% of regular investors. I also see a US OTC listing under the ticker symbol QUDCF. I see much less liquidity here with average daily trading volume of 51,000. But that volume should still be adequate for most investors.